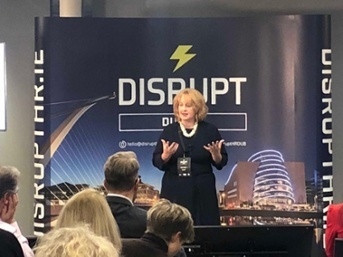 Payslip Founder and CEO, Fidelma McGuirk, had the honour of speaking at this year’s Disrupt Dublin, along with a fantastic line up of industry leaders within the Global HR spectrum. 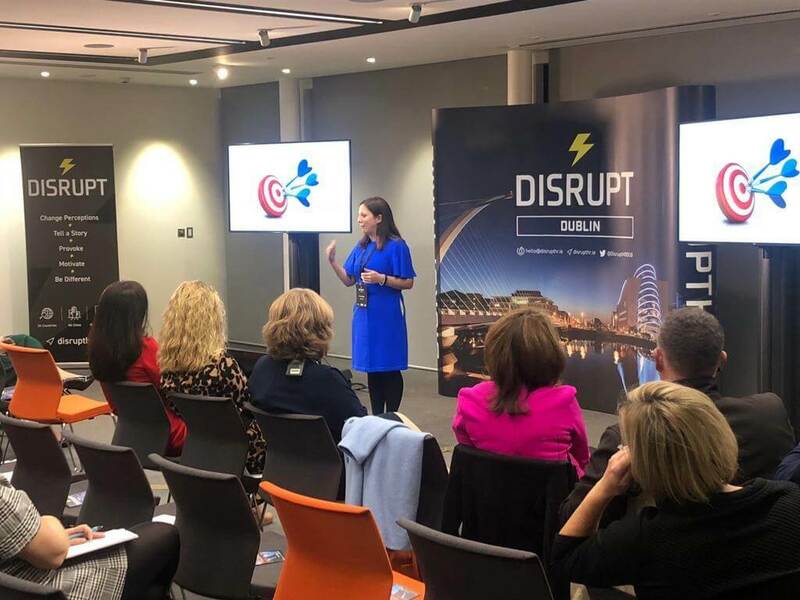 The event, held at leading Irish law firm, Arthur Cox, invited industry leaders to share their experiences, industry insights and inspire the HR professionals in attendance. 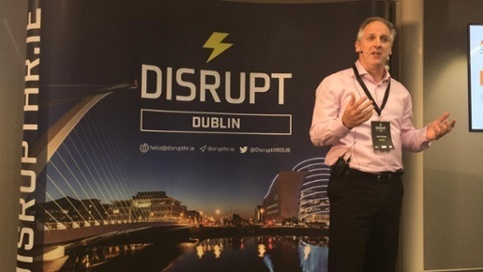 Disrupt HR hosts events all over the globe. Designed as an information exchange for HR professionals, leaders in the HR spectrum are invited to share their experiences, industry insights and inspire the HR professionals in attendance. 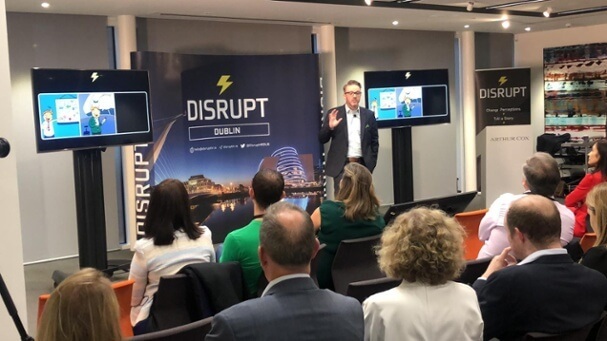 DisruptHR Dublin, run by Conor Kinsella, Founder of ckhr; Ivan Stojanovic, CEO of People.Camp and Derek Howard, CEO and Founder of The Customer, took place a the premises of leading Irish law firm, Arthur Cox. 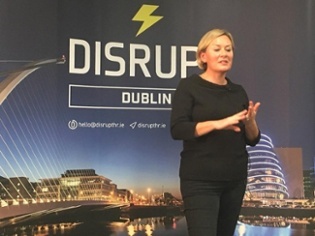 Fidelma McGuirk, CEO & Founder of Payslip, had the delight in speaking at the event alongside a fantastic line up of industry leaders within the Global HR spectrum. 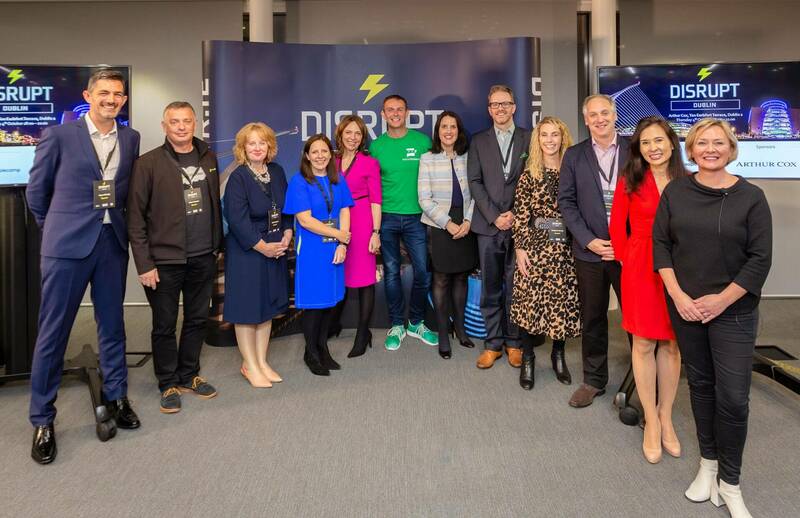 Pictured: Speaker line up at Disrupt HR Dublin 2018. 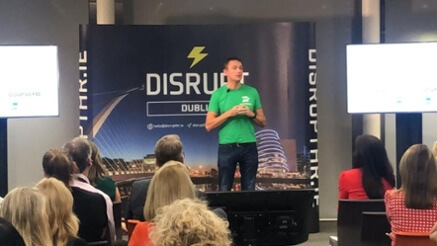 To help you become inspired and to start you on your journey to become a HR Disruptive Leader, we are sharing our key learnings from the DisruptHR Dublin event! In his presentation entitled ‘Training Guru Says…’, Clint spoke about how corporate learning professionals have been fighting for decades to prove their worth and justifying their existence. 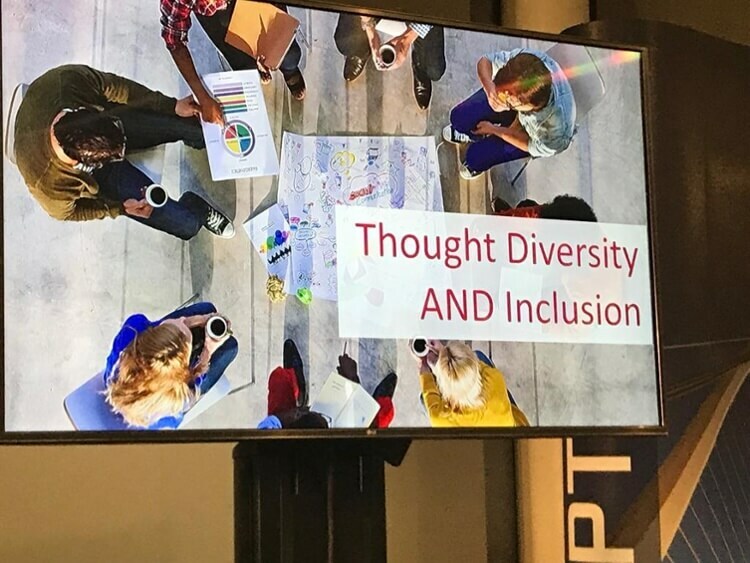 Analytical, conceptual, structural and social were the 4 cognitive groups Sinead discussed in her presentation on ‘Thought Diversity – the new frontier’. Putting the RRRR into HR’ was the thought-provoking presentation by Stephanie Brady, Head of HR at Retail InMotion. The main focus point was to create a more people-focused, customer-centric, performance-enhancing and innovative department to raise the perception of employees within the HR department and the business on a whole. Kevin addressed how HR plays a vital role in building an agile organisation in his presentation on ‘Agile HR – fad or fiction’. Kevin notes that Agile HR is leading the way in business-critical areas such as organisational development, talent management, culture and employee experience. A company’s HR strategies and processes need to be aligned with what an agile organisation requires to be successful today and how it prepares for the future. HR clearly plays a pivotal role in building an agile organisation. Leading the way in business-critical areas such as organisational development, talent management, culture and employee experience, HR strategy and processes need to be in tune with what an agile organisation requires to be successful today and how it prepares for the future. 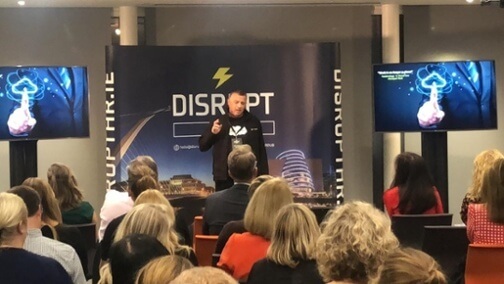 Johnny Campbell, CEO of SocialTalent, took to the stage at DisruptHR and shared his insights on how the world’s most progressive organisations are thinking about talent and in turn, winning the war they didn’t know they were fighting! Johnny noted that the war isn’t for people or talent, it’s a war for skills. Employers have to consider either buying or building the skills needed within their business, as the search for people with specific skills needed is a difficult one. “If there are mergers and acquisitions occurring in your business, HR must impose yourself in the process” noted Olive. Olive spoke about her experiences and insights the ‘people-first merger’ by EUmom and Zahra, focusing on developing a shared vision between the businesses before moving into the financials. Adam is a major advocate of changing the HR department from a support function to an asset management department that manages the most important thing in the company – people. His message of the night was that “Work is no longer a place!”. He noted that working hours are no longer 9 to 5 and discussed how employers should deal with this change & how to get the best out of their employees. Having transformed engagement in AIB from 5% to 62% in the space of 5 years, Susan knows what it takes to create an engaging and driven work environment. 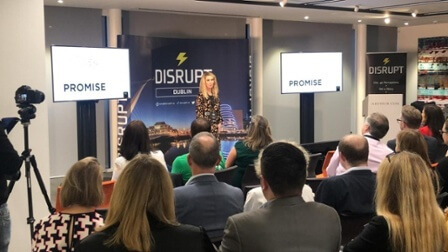 In her presentation, ‘Target for engagement, without engagement targets’, Susan spoke about AIB’s engagement journey and the key contributors to their success, including their unusual take on ‘what gets measured, gets done’. The majority of children born in developed countries today can expect to live to more than 100. 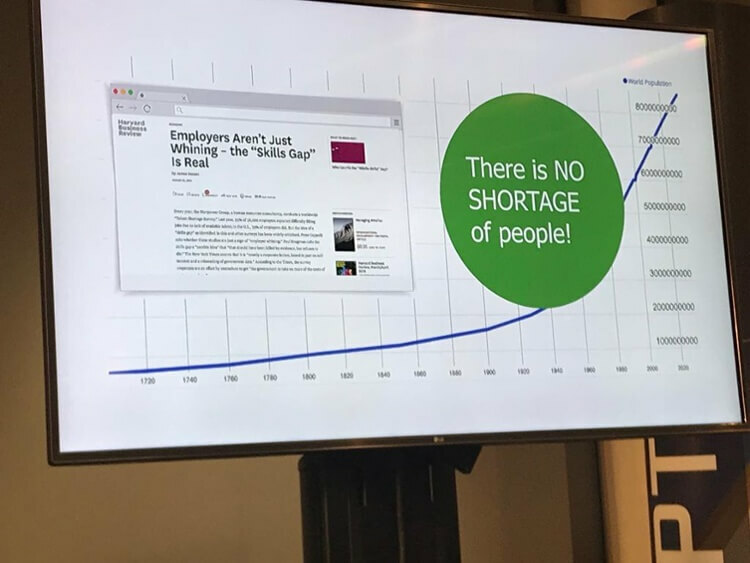 In her presentation, ‘The 100 year life”, Doone discussed what the increased life expectancy means for our working lives and the implications for employers. Ryans’ insightful presentation on “Keeping your high performers high performing” remarked on the struggle high performers have on working to their full potential on a consistent basis. His insights revealed how business can successfully help their high performers to reach their potential more frequently and successfully. 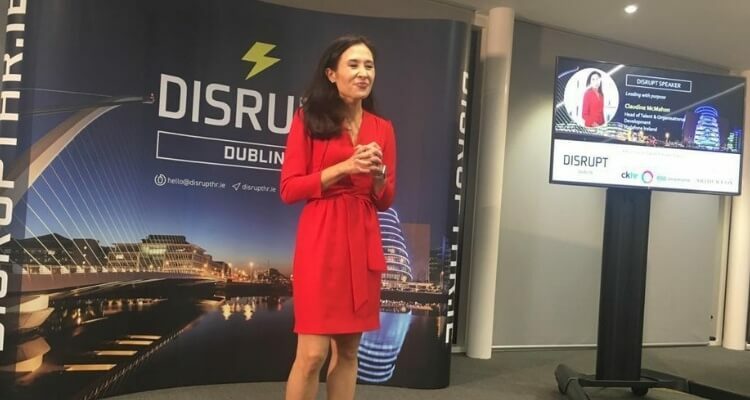 In the coming weeks, ‘Industry leaders daring to be disruptive at DisruptHR’ will be updated with the latest video content from the event. Register here, to receive video content from the event!